Now that I am well into my late 30’s in age, I feel the need to become physically fit. Yes there was a need before I entering this stage, but a few days of greasy meals and one too many treats is proving more difficult to hide. That said, in the past I would just work out a little harder. Maybe put in a few more minutes into cardio, eat well, drink more water and stay away from temptations. Easier said than done, but with a little effort I could get back to just 25 pounds over the suggested weight for my height. Add my kid to the mix with my job(s), it’s damn near impossible to find the time to get a reasonable workout and not lose hours of your day. If it seems like this is starting to sound like a commercial, don’t worry it’s not. However, I really do use my kettle bells a lot. Way more than I expected when I got them. 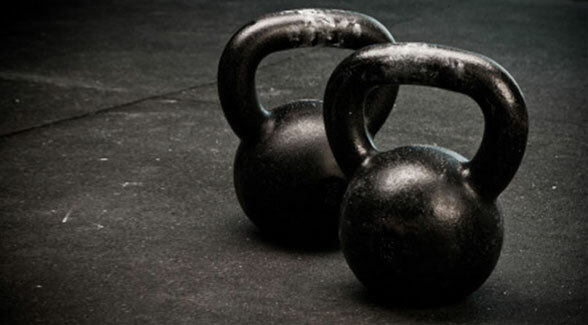 If you don’t know what a kettle bell is… allow me to describe one to you. Imagine putting a handle on a cannon ball, and using that to exercise instead of dumb-bells. I think it’s an efficient and effective tool that combines weigh training with cardio exercises. At least the ways I use kettle bells. Since I am usually pressed for time, because I need to stay an active musician/educator or I have a family, the kettle bell is the quick and helpful solution to my time crunch.